Maintaining an upward growth all along Q1 and Q2 of 2015, the wearables market Share is expected to grow, thanks to a lot of new vendors entering the market; a new forecast from the International Data Corporation (IDC) Worldwide Quarterly Wearable Device Tracker estimates a total of 72.1 million devices will be shipped in 2015, compared to the 26.4 million devices shipped in 2014, an astounding growth rate of 173.3%. Shipment volumes are expected to experience a compound annual growth rate (CAGR) of 42.6% over the five-year forecast period, reaching 155.7 million units shipped in 2019. 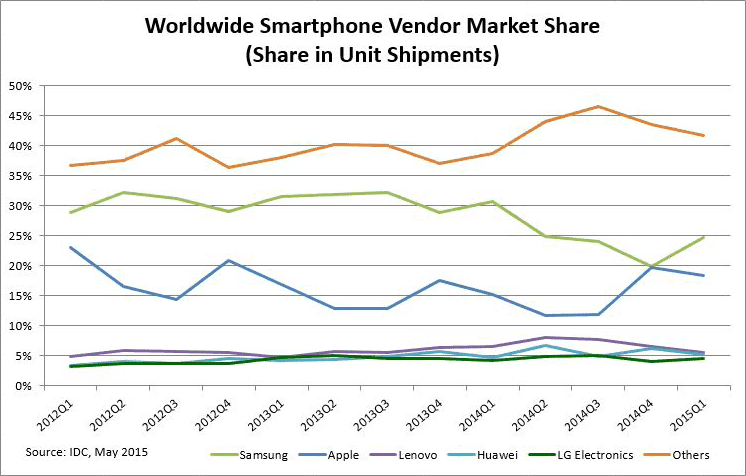 As we can see, Samsung and Apple are the forerunners of the World Smartphone market; and they’re expected to be the prime spear-headers for the Wearables market along with the “Others” which include vendors aforementioned like Xiaomi and Fitbit. Read more: Why you need a smartwatch ? “Growth in the smart wearables market points to an emerging battleground among competing platforms,” said Ramon Llamas, research manager, Wearables. 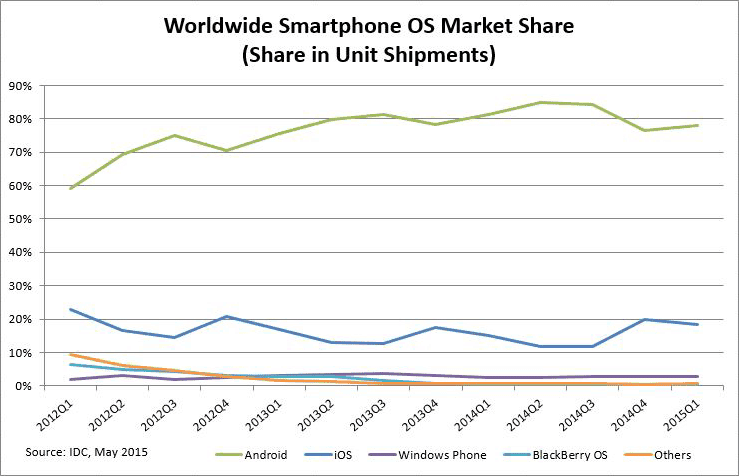 According to the “WorldWide Smartphone OS Market Share“, Android and iOS have a clear lead over other contenders; and thus it wouldn’t be surprising to have them spearhead the expansion of the wearables market with their own Android Wear, and WatchOS operating systems respectively. 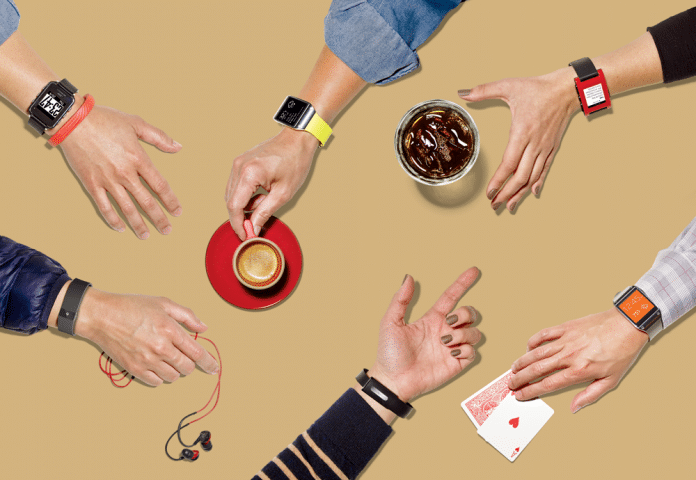 So, do you think the wearables market is going to see an explosion? Let us know in the comments below.